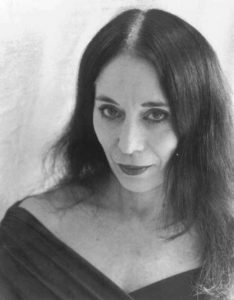 Lynn Barr began her dance career with the Paul Sanasardo-Donya Feuer Dance Company. She was a soloist with the Philadelphia Lyric Opera Co. and with the New York City Opera Co. at Lincoln Center. After many other dance engagements, she returned to dance with the Paul Sanasardo Dance Company in New York. Forming her own company in 1988, she toured with her evening length productions of “The Women”,”Il Circo Della Vita”,” Mystos”. She has been the artistic director of the State University of New York at New Paltz Dance Programs abroad for 14 years in Italy and in Prague,Czech Republic. Ms. Barr has also taught in Berlin,and was invited to teach for the Tanztheater von Ismael Ivo at the Deutche National Theatre in Weimar, Germany.Later she taught for the Polish Dance Theatre in Poznan, Poland. She was invited by the American Embassy in Belgrade,Serbia to teach and choreograph. After successful performances in Belgrade the works were shown again in Grenoble, France. After much travelling and working in Europe, she returned to work with her newly formed company in New York.